Thinking something? Say something! Thea Chassin reviews the meeting. FDA’s taking patient and family comments until November 13, 2017. 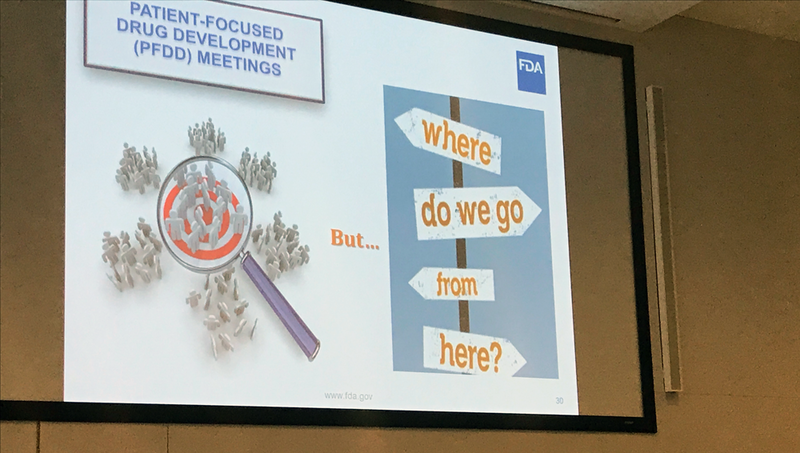 The FDA has been holding public meetings on 20 different disease areas, one disease per area over the last year or so to continue through 2017. Alopecia Areata is on a preliminary list to be chosen as a disease in the FDA’s process for patient-focused input for the 2016-2017 disease-specific meetings. The FDA is currently inviting commentary on this preliminary list. Bald Girls Do Lunch is giving our network a quick way to give feedback to the FDA. The FDA staff wants your views to better understand patients’ opinions about which diseases patients consider to be a high priority. Our easy form and quick guidelines will focus your feedback. Act now! Submit your feedback by December 5th, 2014.